So this quilt is a cheater quilt all the way around. 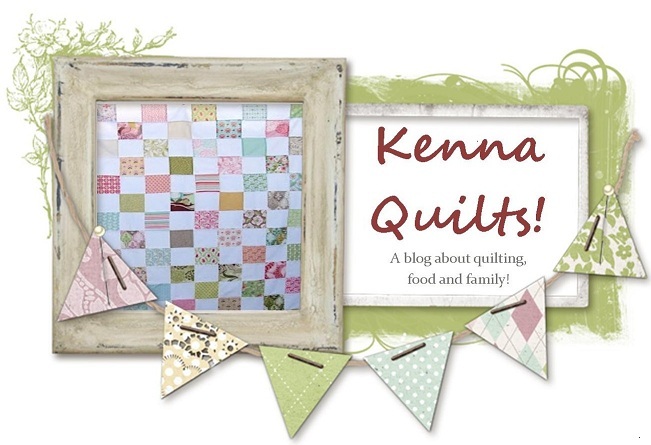 It's a super popular quilt on this here blog...and I really like the way it came out! :) Front AND Back. But I have a confession. This super duper cute quilt is a cheater quilt. All. The. Way. Around. 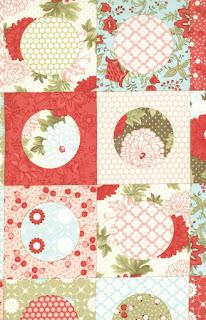 The top is the Bliss line's "Blissful Multi" by Bonnie and Camille. It's a cheater print. Which is currently residing on the living room floor....it's the punk's new "Floor blanket" where her toys live and she starts the rolling around process! I cheated. And it's cute as heck and really unless you REALLY look closely or you REALLY know your fabric, no one will know. and it's a great whole cloth quilt for the punk to drag around and use and abuse. And it's cute to boot! The quilt is super cute. I never would have guessed it was a cheater. Maybe you shouldn't have told us, then we would have thought you had worked your poor fingers to the bone piecing it.